Nothing quite says summer like a cold glass of iced tea. So, it makes sense that the same month that celebrates the first day of summer also honors summer’s staple drink. This drink has become so popular it can be purchased already bottled or even in a powder form to then be mixed with water. However, some of the best iced tea is almost always homemade. In fact, summer is a great time to brew your tea in the sun and make a summer favorite known as sun tea. 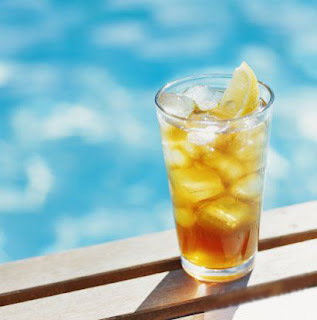 If you are drinking iced tea in the south, you are probably drinking sweet tea, which is usually made sugary, sweet with the use of simple syrup. Additionally, iced tea has even advanced to being flavored with fruits such as lemons, peaches and raspberries. However you enjoy your iced tea be sure to grab a glass this month to celebrate this summer favorite. -Honest Tea-The perfect way to celebrate national iced tea month. Honest Tea offers a wide variety of teas with a number of offerings, that are just the right amount of sweet with not too much sugar. -Cumberland Farms-Just in time for summer, Cumberland Farms will be giving away free servings of its new, thirst-quenching iced tea for the next three Fridays in June – June 10, June 17 and June 24 Every other day, freshly brewed iced tea is just 99 cents, any size. -Lipton Iced Tea-Lipton Iced Tea has unveiled a new 100% Natural line featuring a simple, all-natural ingredient list, which includes the finest-quality Lipton tea, real sugar and natural flavors with no preservatives, no artificial colors and no artificial flavors. Lipton also has two new delicious diet flavors, free of artificial colors and flavors. The tea is available in five flavors: Iced tea with Blueberry Pomegranate, Green Tea with Passionfruit Mango, Iced Tea with Lemon, Green Tea with Citrus. The new diet flavors include: Diet Green Tea with Watermelon and Diet Green Tea with Citrus.